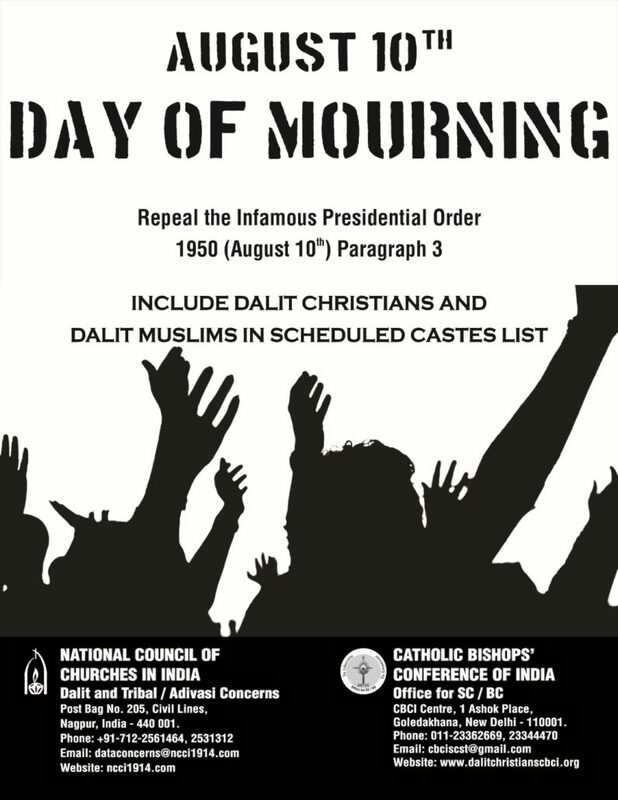 The National Council of Churches in India – Dalit and Tribal/Adivasi Concerns observed the Day of Mourning on 10th of August 2018 as a protest against the infamous Presidential Order 1950 (August 10th) Paragraph 3, which excludes Dalit Muslims and Dalit Christians from the Scheduled Caste (SC) status, and the related affirmative action benefits of the Government. 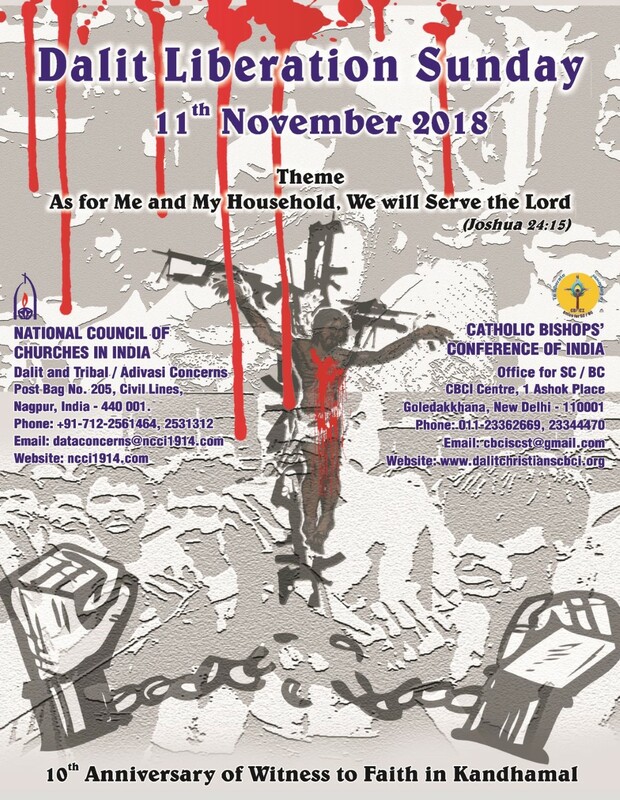 Thus the Day of Mourning was a time to express solidarity with the struggles and problems of Dalit Muslims and Dalit Christians in contemporary India where they are deprived of their rights. 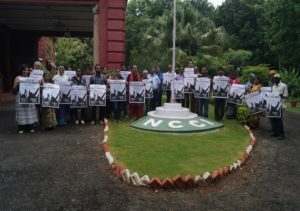 On this day the NCCI staff gathered on the lawn of the NCCI premises, displaying posters expressing their protest. This act was not only an expression of mourning but also an urgent appeal to the authorities to repeal the unconstitutional law that violates the rights of the ones who are genuinely in need of it. 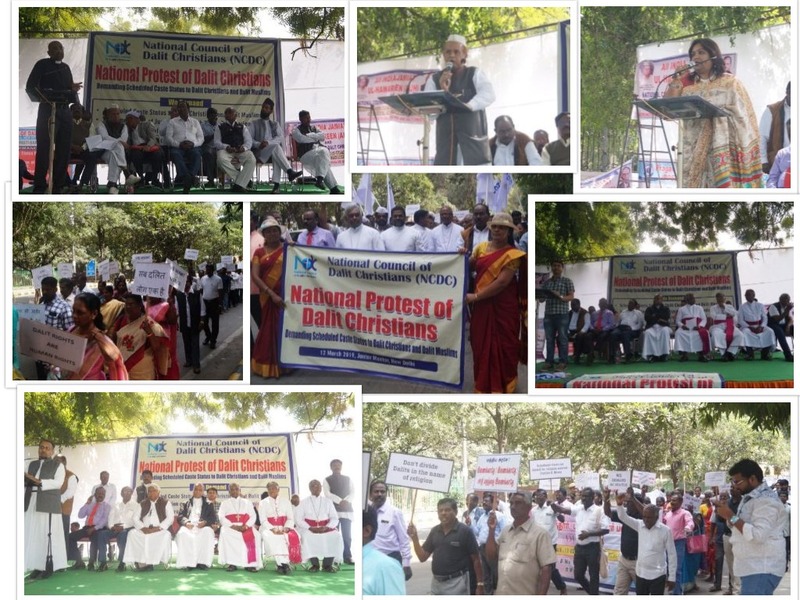 A short speech was delivered by Mr. Saurabh Khobragade, NCCI Intern of Dalit and Tribal/Adivasi Concerns, regarding the significance of the protest. He not only cited the infamous Presidential Order that was signed on 10th August 1950, but also emphasized how concerned people should respond in times like this – to be critical about the unjust ways of the authorities, to relate justly and responsibly with our neighbours in society, and to be responsible citizens and stewards in the service of God. 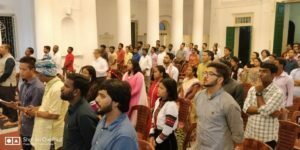 The observance of the Day of Mourning concluded with a word of prayer remembering the suffering of marginalized people, and seeking God’s intervention in the struggles for justice and inclusivity in the society and country at large. 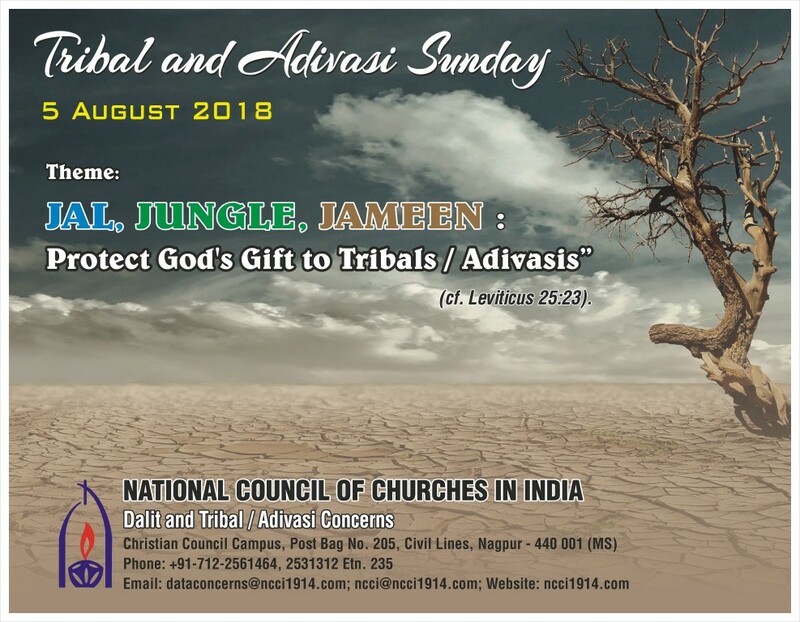 To re-read the Bible from Dalit and Tribal/Adivasi perspectives. 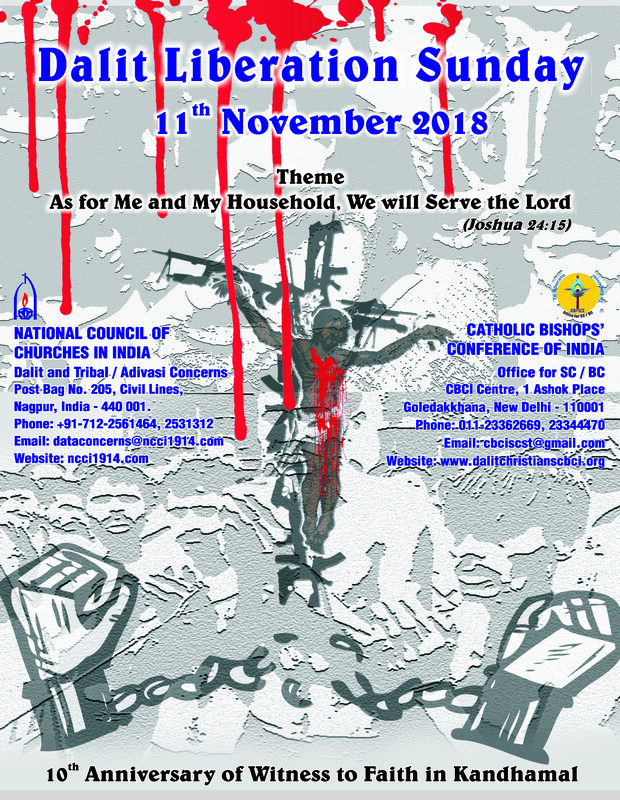 To encourage the member churches of the NCCI to bring out educational policy guidelines from predominantly Dalit and Adivasi perspectives, which could be used by the institutions of the Churches. This education policy will help the excluded Dalit and Adivasi students to obtain more space.